The card base is the standard A2 size made out of Neenah solar white 80 lb cardstock. 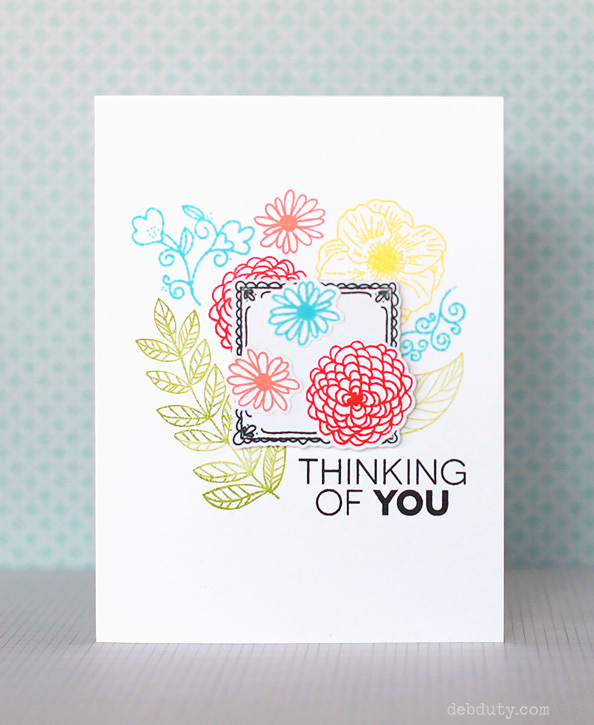 I stamped the flowers, leaves and sentiment directly on the background with Color Theory inks. I also stamped and die cut the frame and three more flowers to add with foam adhesive. I'm linking up with the Simon Says Monday Challenge where the theme is "B is for..." and for my card the B stands for blooms! 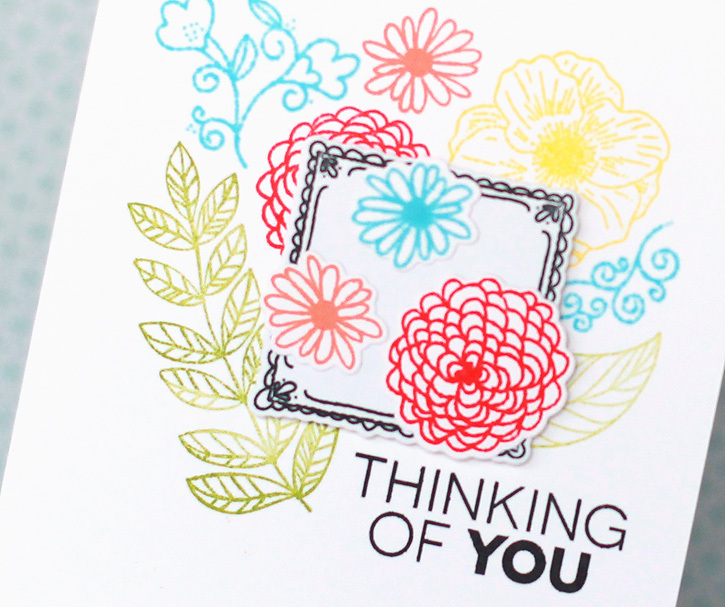 The ink colors I used along with some other supplies and tools I used to make this card are linked below. so pretty! Love the bright and cheery colors! LOVE what you've done with these stamps! Awesome! So very pretty! all the stamped flowers look great! Thanks for joining along with the Simon Says Stamp Monday challenge!